these details, please do let us know. Also listed are those who lost their lives in the Second World War: Albert Bates  Astley Cleveland Pickett  Arthur James Selby  William Arthur Richard Sumner  1 According to the Commonwealth War Graves Commission, Thomas Richard Brodrick was a Private in the 5th Battalion of the Dorsetshire Regiment who died on the 10 August 1915 though his age is not specified. We believe him to have been just 23. Although he was born in Kent, at the time of the 1911 Census he and his family were living at Spring Grove in Buckland Newton. He is remembered on the Hellas Memorial in Turkey together with the names of more than 21,000 fellow Commonwealth servicemen. 2 Bertie Christopher Coombes was a Private in the 1st Queen’s Own Dorset Yeomanry, who died on the 14 October 1918 aged just 21 years. In the 1911 Census, Bertie, who was born in Buckland Newton, was living with his parents in Cosmore. He is buried at the Alexandria (Hadra) War Memorial Cemetery in Egypt. There are 1,700 First World War graves there along with 1,305 from the Second World War. 3 We believe that A Ernest Downton was Archibald Ernest Downton, known by his family as Ernest to prevent confusion with his father who was also Archibald. He was born in Buckland Newton and was living at Cosmore with his parents in 1911. Young Archibald was a Private in the 5th Battalion of the Wiltshire Regiment who died on the 9 April 1916; he would have been only 19 years old. His name is on the Basra War Memorial in Iraq along with more than 40,000 others who died in operations in Mesopotamia between 1914 and 1921. 4 Albert C Downton was Albert Charles Downton, an older brother of Archibald Ernest Downton. Research information passed on to us by a visitor to Buckland Newton church indicates that: “Private Albert Charles Downton, Canadian Infantry was born at Cosmore, Buckland Newton in 1894 and travelled to Canada on SS Ascania in 1913. He attested in January 1915 to the Canadian Overseas Expeditionary Force at London, Ontario and was missing presumed dead on 13th June 1916. 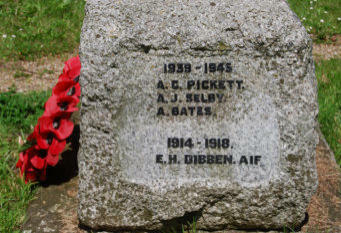 Albert was aged 21 and is commemorated on Ypres (Menin Gate) Memorial, Ypres, West Flanders, Belgium – Panel 18-24-26-30. He was the son of Archibald and Mercy Downton of Cosmore, Buckland Newton and the brother of ‘Ernest’ Archibald Downton.” Information on the Canadian Great War Project website can be found at http://www.canadiangreatwarproject.com/searches/soldierDetail.asp?ID=55265 5 Bertie Downton was a Private in the 6th Battalion of the Dorsetshire Regiment who died on the 22 February 1917 aged 27 years. He was born in Mappowder, the younger of 2 brothers, his older brother Christopher having signed up as a soldier around 1900 to be put on the reserve in about 1912. Apparently, Christopher was re-called for duty in 1914 and lost a leg when the hill they were defending was mined and blown up. His war was over but Bertie was not so fortunate. Bertie is buried at the Grove Town Cemetery, Meaulte, at the Somme in France. There are 1,391 First World War graves there. 6 Edwin Henry Foot was a Lance Corporal in the 5th Battalion of the Dorsetshire Regiment, who died on the 9 August 1915 aged just 19 years. Edwin was one of twins and was born in Buckland Newton and lived at Bookham Farm. Along with Thomas Brodrick of the same regiment, he is remembered on the Hellas Memorial in Turkey together with the names of more than 21,000 fellow Commonwealth servicemen. 7 On the Commonwealth War Graves Commission website there are three soldiers named E. House, the most likely being a Private in the 1st Battalion of the Dorsetshire Regiment, who died on the 9 March 1915 and would have been 33 years old. Ernest House was married to Sarah Annie nee Sansom who had herself been born in Buckland Newton, and they had 2 daughters, Ethel May and Rose. According to information recently received, he also had a son, Henry Thomas, born 29 April 1911, died 29 April 1977. In the 1914 Electoral role there is an Ernest House living at Brockhampton. Ernest is buried at the Hooge Crater Cemetery near Ypres in Belgium. 8 Robert Israel Hunt was a Sapper in the 126th Company of the Royal Engineers who died on the 22 March 1918 aged 30 years. Although born in Weymouth, his family were living in and around Buckland Newton, though, in the 1911 Census, he was living with a cousin in Chorlton, Lancashire where he was a Cabinet Maker. He left a wife, Ethel May nee Olden and, we believe, a son, Robert W J Hunt. His name is remembered on the Pozieres Memorial at the Somme in France. The memorial commemorates more than 14,000 Allied casualties. 9 Martin Joyce was a Private in the 6th Battalion of the Dorsetshire Regiment who died on the 16 May 1917 aged 29 years. According to the family, Martin came from Ireland to work as a groom at Buckland Newton Manor. Martin didn’t have to go to War and would have been perfectly entitled to return home to Ireland but he volunteered. He married Elsie Norah Forsey in the January of 1917, died in May and Elsie gave birth to their daughter Betty in June. Martin’s name is recorded on the Arras Memorial in Northern France along with those of some 35,000 allied soldiers. 10 We now believe that William J Roberts was William James Roberts, a relative of John Clarke, from whom the following information comes: “William James Roberts, b. 1892 in Zeals Wiltshire and baptised in Sedgehill, to Albert John Roberts and Harriet Bessie (Hurst). He was my father’s cousin, as Harriet was his mother’s sister. I believe he was a member of the Dorsetshire Reg. My father always said that Will’s body was never recovered, but he was sure that he died at Hill 60 after a heavy German bombardment. As Will died in WW1 he never actually lived at Buckland Newton, however, during the war his family moved there and his brother, who also enlisted and became a Military Mounted Policeman, did come home to Buckland Newton after the war in 1919. The family appears to have been living at Revels Farm, and his brother, Albert Victor Roberts, continued to be a policeman in Buckland Newton in civilian life. This explains why William James Roberts’ name appears on the Buckland Newton War Memorial as his family would have put his name forward for recognition. Most of the information I have about him I have learned from my father as his official Army records seem to have been lost. It is very sad that while Albert came home to a wife and son, Will’s last resting place is unknown.” 11 Walter John Robins was a Private in the 2nd Battalion of the Dorsetshire Regiment who died on the 31 December 1916 aged 27 years. 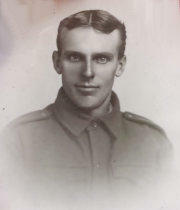 Walter was the son of William and Alice Robins. His father William had died when Walter was only 6 and his mother, with 6 children to raise, re-married to Luke Vardy, himself a widower with 4 children to raise. The Commonwealth War Graves website shows the family address after the War as being of 10 Henley Cottages, Buckland Newton. Walter is named on the Basra Memorial in Iraq, one of 40,675 Commonwealth casualties who died in Mesopotamia between 1914 and 1921. 12 According to the Commonwealth War Graves website of soldiers killed in the Great War there are many Sidney Smiths who gave their lives. We believe that our Sidney O Smith is Sidney Oscar Smith who lived in Woolcombe, Cattistock and was married to Flora and they had one surviving child, also Sidney, their daughter Lucy having probably died at birth, never having been registered at birth or death. Her name is shown on the original hand-written 1911 Census return before being crossed out. Flora’s full name was Melina Flora B Woodsford; she was a cousin of John Toms and lived for some time at Bookham in Buckland Newton. 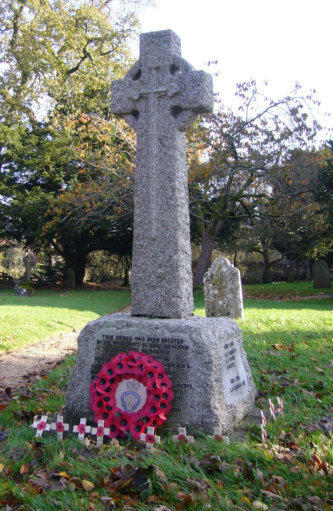 13 In the Royal Navy & Royal Marines War Graves Roll, there is a John Toms born in Upwey, Dorset. John Toms was a Petty Officer 1st Class who died on the 1 November 1914 in HMS Good Hope, which was a Drake Class cruiser with 900 ships company which, along with HMS Monmouth with 678 ships company, were sunk by the German Far East Squadron at the Battle of Coronel off the Chilean coast by armoured cruisers Gneisenau and Scharnhorst. All 1,578 men were lost. John was a career sailor who had been in the Royal Navy, probably from about the late- 1890’s, being an Able-Seaman in the 1901 Census, rising to Petty Officer in the 1911 Census at Whale Island in Portsmouth. John married Edith White in the spring of 1914 and died later that year. 14 Gilbert Vardy was a Private in the 5th Battalion of the Dorsetshire Regiment who died on the 19 August 1917 aged 25 years. Gilbert, originally registered as Herbert Gilbert Vardy, was the son of Luke and Elizabeth Vardy of Duntish, Buckland Newton. Following his mother’s death in 1893, Gilbert’s father re-married to Alice Robins and Gilbert became a step-brother to Walter Robins. According to the 1901 Census, the combined family of the 2 parents and 10 children plus the father’s widowed mother were living at Acreman Street in Cerne Abbas, the house having been since demolished to make way for the through road from Dorchester to Sherborne. Gilbert is buried in the Brandhoek New Military Cemetery near Ypres in Belgium along with 975 fellow servicemen. 15 Albert ‘Bertie’ William Wilkins was a Private in the 2nd/4th Battalion of the King’s Own Yorkshire Light Infantry who died on the 3 May 1917, he would have been 23 years old. Together with an older sister, Mabel, and younger sister Dorothy, Bertie’s family lived at Spring Grove in Buckland Newton. According to family information, Bertie was last seen alive on the 5 May together with the ‘A’ Company of the 2nd and 4th Kings Own Yorkshire Light Infantry. Bertie is remembered on the Arras Memorial in Northern France along with those of 35,000 other allied soldiers. 16 In May 2008 an exploratory archaeological excavation confirmed the existence of several mass graves which had lain undisturbed at Pheasant Wood in Northern France for more than ninety years. The graves were estimated to contain the bodies of more than 400 of the 7,000 Australian and British soldiers who had died at the Battle of Fromelles on 19th July 1916. The Commonwealth War Graves Commission undertook the task of carefully recovering and identifying the bodies which would then be laid to rest, with dignity and respect, in a new cemetery built exclusively nearby. One of these soldiers was identified as Edwin Henry (Harry) Dibben who was born and raised in Buckland Newton but had moved to Australia where he had signed up for military service with the Australian Imperial Force. A DNA check against his great-nephew, Richard Dibben, confirmed the identification and Harry’s remains were buried in a marked grave in the new cemetery. 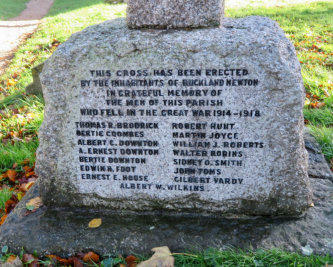 Richard realised that Harry’s name was not on the War Memorial at Buckland Newton where he had lived and requested that it should be added. It had possibly been omitted from the Memorial because he was enlisted in the Australian Infantry and was fighting with the men but he was born and raised in Buckland Newton and obviously deserved to be remembered here. 17 From just before the Second World War in the 1939-1940 Electoral Roll, we know there was an Albert Bates living at Mill House with William and Gwendoline Hunt, sadly however, we are unable to be certain as to which military force he served in from the 26 A Bates named on the Commonwealth War Graves listings. 18 Astley Cleveland Pickett was born in 1915 and attended Clifton College in Bristol before training as a Livestock/Farming Auctioneer in Sturminster Newton. He initially enrolled with the 4th Dorsets in late 1939 but, in 1941, he transferred to the Royal Air Force at Peterborough to train as a pilot. He served as a Pilot Officer in 142 Squadron which, at the time of his death aged 27 years in January 1942, was carrying out night bombing raids from Waltham near Grimsby on Bremen in Germany in their Vickers Wellington bombers. His aircraft came down in the North Sea about 70 miles north- east of Grimsby on the evening of the 17th January 1942 but, despite searches at first light the next day, no survivors were found. Astley’s name is remembered on the Runnymede Memorial in Surrey along with more than 20,000 other airmen who have no known graves. 19 Arthur James Selby’s birth was registered at Mansfield in late 1919 as was the death of his father, James, who died at the age of 26. Emily, his mother, now widowed with baby Arthur, returned to her former home of Dorset where she subsequently married William Alfred Crew in 1922. They had a daughter, Sylvia in 1923, a baby sister for Arthur. In the 1939-1940 Electoral Roll, the family were living at 10 Henley Cottages. Arthur James Selby served his country as a Driver in the 271st Field Company of the Royal Engineers. He died on the 16 November 1944 aged 25 and is buried at the Meldola War Cemetery in Italy along with 144 of his fellow servicemen. 20 Finally, we should not forget William Arthur Richard Sumner who is not named on this War Memorial as he died of natural causes while a serving officer, but he is buried in the cemetery to the east of this church. William was born in part of India which is now Pakistan where his father Dr Frederick Sumner was a Colonel serving with the Indian Medical Services. William was educated back in England at Haileybury College near Hertford and subsequently trained as an officer at The Royal Military Academy at Sandhurst where he was awarded the Sword of Honour. He was a keen sportsman representing the Army at Polo and Cricket, even managing to score a century at Lords for the Army cricket team. In 1938 William married Joan Arrowsmith in Chelsea and they had 2 daughters, Faye and Carolyn. William was a Major in the Royal Horse Artillery and was taken ill while serving in Cairo and brought back to London where he died in August 1943, 33 years old. He is buried here in Buckland Newton because his parents Dr Sumner and his wife Helen had moved back to England and were living at Fir Trees in Buckland Newton. Rededication of the War Memorial, with the addition of Edwin Henry (Harry) Dibben’s name, took place at Buckland Newton Church at 11.00 am on Sunday 24th July 2011. A great deal of work to obtain the necessary permissions and grant aid to add the missing name was needed but eventually everything was agreed. It seemed appropriate to bring to life all the other men from the village who had died in the two World Wars to recall their sacrifice as well. An appeal in the Village News for some assistance was answered by Jenny Kilby and her brother-in-law Wayne, who set to with enormous enthusiasm and dedication to trace the stories and relatives of all 20 men. Family members of every man that could be traced were invited to the rededication ceremony and many were able to come. The service was conducted by Rev Jonathan Still and a short reading about each man already named on the Memorial was given by Captain William Gueterbock and Commander Stewart Kilby with another reading by Richard Dibben about his great-uncle Harry. Also in attendance were representatives of the Royal British Legion with standards from Cerne Abbas and District, Puddletown and Dorset County. Framing the two minute silence the Trumpeter, Marcus Adams, sounded the Last Post and Reveille.